Description: Prepare to be impressed! Over 100k in upgrades and priced at a fraction of actual cost. A true deal! Backs to sm park w/heavily treed lot. Kit w/granite, island, w-in pantry & upgraded appliances. Main fl master suite. Large bedrms + loft. 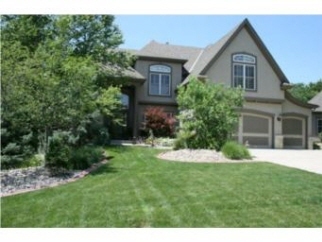 Fin walk out bsmt w/theater room, wet bar, rec rm, bed rm & bath. Trex deck & stamped concrete patio. Must see. From I-435 & 87th ST. 87th ST W to Haven. N to home.